Random Anny .Com: Hey are your Energizer batteries leaking? Hey are your Energizer batteries leaking? So as you guys know, Energizer batteries were free last week at Office Depot and Duracells are free next week at Staples. 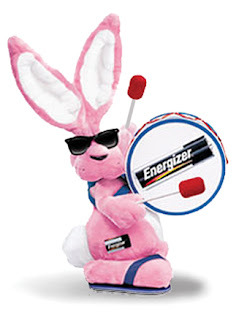 I was reading about the internet and realized a lot of people are complaining about leaking Energizers. I figured they must be old batteries or left in devices for more than a year but then I realized it was happening to me! I bought one of those wireless doorbell chimes at Lowes back in July and opened a pack of Energizers. Less than a month later it started complaining about low battery levels. When I changed the batteries one of them had leaked inside the compartment! Now this is a little $15 purchase but folks are complaining about Energizer leaks in much pricier stuff. In completely related news, Chez Anny has become a Duracell only household. I would agree I have had problems of leaking Energizer batteries. I have had generic batteries I have forgotten in devices for 4+ years, batteries are dead but not leaking. I just went through most of my batteries devices and found 6+ Energizer batteries that were leaking :( (all were 1.5 years old or less) I have had no problems with Duracell batteries. At this point Energizer isn't even worth free!